The gallery can be clicked through above (I recommend expanding the images or viewing them in a separate window to get the full, HD effect). As always, you're encouraged to go peruse his site, which contains many more great shots. 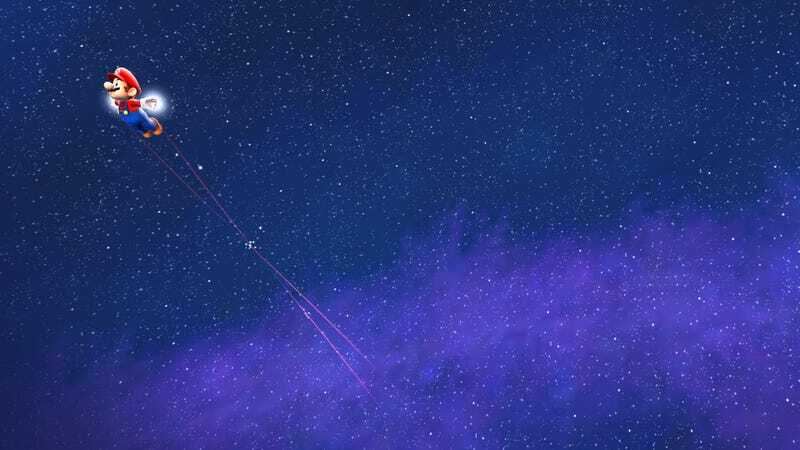 At top, we've got "Starman," which is the first of several shots from Super Mario Galaxy. Duncan is using a technique that Luke detailed for you last week to rip the (already owned) game onto a PC and run it in HD. The results are ridiculous looking, and have shattered my notions of how the great art direction of Nintendo's Wii games makes up for the system's lack of hardware prowess. Yes, Super Mario Galaxy and Skyward Sword still look lovely, but goddam would they look better in HD. This shot is one of 50 included in a "DeadEndThrills Presents" collection of shots from Portal 2. They're all outstanding, given that that game and its engine are (in my opinion) utterly beautiful. And even better in motion, I think. This one might be my favorite, in that it captures the arachnoid grace of GlaDOS's character design. A great shot from one of Modern Warfare 2's most memorable bits—this is a great example of how a free camera can give a perspective on a scene that was unattainable while playing. I was personally way too concerned with not falling off the mountain to notice how gorgeous everything was. The last of the Super Mario Galaxy shots, and my favorite. Lookit that junk! Could you imagine if this game was playable in HD? I am much more excited about the WiiU than I have been previously. The first of what I hope will be many shots from S.T.A.L.K.E.R. : Shadow of Chernobyl. (God, do I really have to do the periods thing every time I write that game title?) This shot manages to evoke what makes that game so great—the openness, the bleak beauty, etc. I hope he tackles Far Cry 2 at some point. Terrific shot from Super Smash Bros Brawl - it almost doesn't look like a game. In fact, I'll say that this image is a touch disconcerting… which I like.